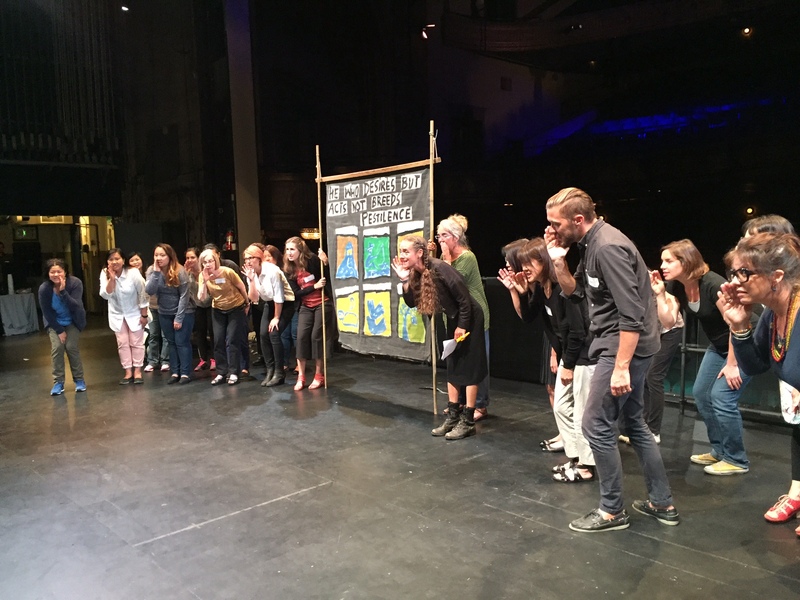 This entry was posted in Arts Education, Drama / Theatre, Music, Visual Arts and tagged Art Coordinators, Banners and Cranks, Bread and Puppet Theater, Cantastoria, Clare Dolan, Curran Theater, Internet Archive, SFUSD, Social Justice by artsed4all. Bookmark the permalink. How very wonderful — when I worked with A.I.D.A. Centro Teatro Ragazzi di Verona Theatre Company and brought them on tour to the USA and Canada in 1987, we stayed with and worked with Bread & Puppet in Glover, Vermont. This was my first connection with Bread & Puppet, and they made a lasting impression on me. Cantastoria – Italian for a singing story – that is the kind of thing I did working in Italy. How marvelous that it all comes together here, with the vision of Andi Wong.